Are you a consumer who consciously supports companies that sell ‘cruelty-free’ cosmetic products? Maybe you run your own natural & organic cosmetics company and hope to gain cruelty-free certification for your business? In either case, it is important to understand how to spot products that are affiliated with a legitimate certifying body, and how to gain a ‘cruelty-free’ certification designation for your own product line. Enter the Leaping Bunny Program, which is widely considered the highest corporate standard in certification for products by the Coalition for Consumer Information on Cosmetics (CCIC) and The European Coalition to End Animal Experiments (ECEAE). Leaping Bunny connects consumers with cosmetic, personal care, and/or household products companies that do not test finished products, ingredients, or formulations on animals. By 1996, ‘cruelty-free’ shopping had become popular, but it was also confusing, sometimes misleading, and ultimately frustrating. Companies had begun designing their own logos to indicate that they were abiding by their own definition of ‘cruelty-free’ or ‘animal friendly’ without the participation of animal protection groups. In response, eight national animal protection groups banded together to form the Coalition for Consumer Information on Cosmetics (CCIC). The CCIC promotes a single comprehensive standard and an internationally recognized Leaping Bunny Logo. They work with companies to help make shopping for animal-friendly products easier and more trustworthy. You can learn more specifics about the Leaping Bunny Program on their website. Essential Wholesale is proud to announce that we are now a Leaping Bunny certified facility! We’ve pulled together some Q&As to help you figure out what it means for us, and for you. A: All skincare products and ingredients you purchase from Essential’s website are eligible for the Leaping Bunny logo and the use of the words “cruelty-free,” which is a trademarked term, provided you are not adding your own ingredients to the product once you receive it from us. 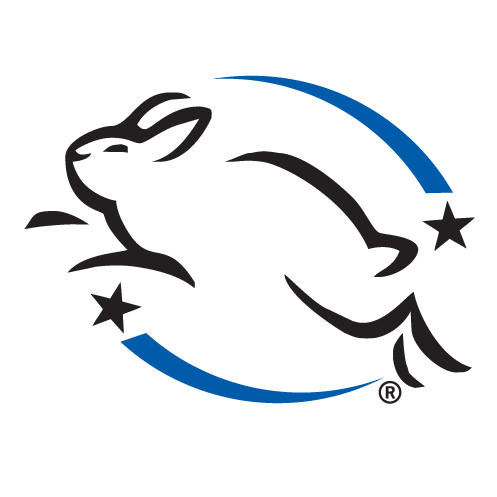 You can also apply for the right to use the logo on the Leaping Bunny website. Once you apply, a confirmation request is sent to us, which we complete and send back to Leaping Bunny. Please send us an email at info@ewlnatural.com as soon as you apply to let us know to expect an email from Leaping Bunny.